An auction taking place at Bradley’s, Labane, on Friday August 17 will see three separate farms in Ardrahan being offered for sale. The first lot comprises c17.5 acres of agricultural lands at Caherdaly, Ardrahan, from Folio 41487F. These lands are good quality with approximately 120m of road frontage onto the Kinvara/Ardrahan road. The lands are located approximately 1.5 miles from Ardrahan on the Kinvara road. The solicitor with carriage of sale is SLP solicitors, Crow Street, Gort. The second lot is approximately 12 acres at Cregclare, Ardrahan, from Folio 61594F. These lands are of good quality with road frontage onto the Labane/Craughwell road, just off the N18 close to Labane village. The lands are located approximately 0.5 miles on the Craughwell road from Labane, Ardrahan. These lands currently have the benefit of planning permission to construct a dwelling house and garage, planning ref no G07/2039. 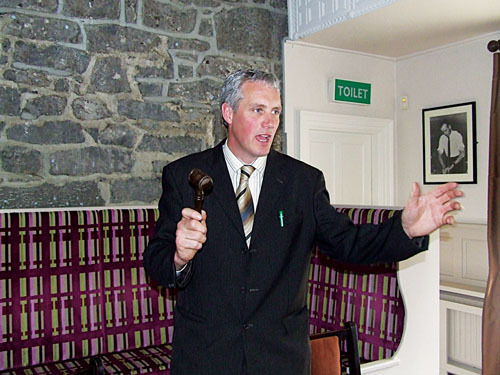 The solicitor with carriage of sale is Paddy Daly c/o Claffey & Daly solicitors, Lismoyle House, Merchants Road, Galway. The third lot is c23 acres of prime agricultural lands at Sroove, Ardrahan. These lands are of superior quality and come with approximately 100m of road frontage onto the Ardrahan/Craughwell road. These lands are located approximately halfway between villages of Craughwell and Ardrahan. The solicitor with carriage of sale is Olivia Moylan c/o A Gerard Moylan & Co solicitors, Loughrea, phone 091 841356. This auction is an ideal opportunity for adjacent and local landowners to acquire additional quality lands. These lands are limestone based and ideal for cattle, sheep, and horse production.